WeatherTech® has been providing the best in automotive vehicle accessories since 1989. Their headquarters is located in Bolingbrook, Illinois. They source their equipment, materials, and business services within the United States and their products are made in the country as well. 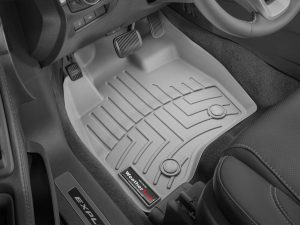 These floor mats are flexible for every season with deeply sculpted channels to trap water, road salt, mud, and sand. 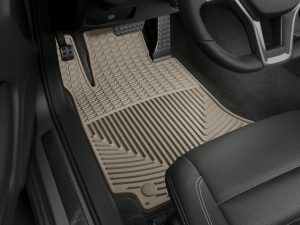 The All-Weather Floor Mats are also designed to prevent curling and cracking in cold weather. These liners are designed to keep spills, dirt, and more away from your vehicle’s interior. 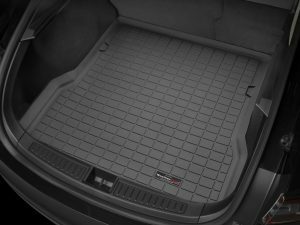 FloorLiners protect the front, back, and sides of your vehicle’s footwell. 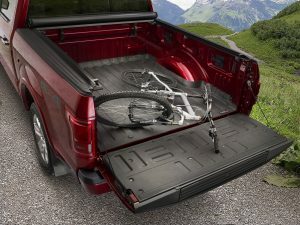 TechLiner is a custom fit pickup truck bed and tailgate liner that protects and shields the truck bed against scratches, dents, paint damage, and rust. No drilling required and will not crack or break in extreme temperatures. Protect your vehicle’s fenders and exterior from debris picked up by your vehicle’s wheels. The WeatherTech MudFlap – Laser Measured for a Perfect Fit set literally “mounts-in-minutes” (in most applications) without the need for wheel/tire removal, and most importantly – without the need for drilling into the vehicle’s fragile painted metal surface! 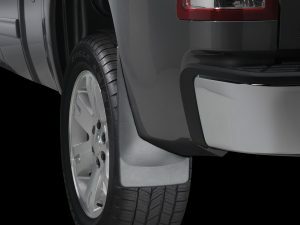 Contoured specifically for each application and molded from a proprietary thermoplastic resin, the WeatherTech MudFlap will offer undeniable vehicle protection. Call us today to learn more about these products and fit one to your vehicle! Since 1949 we have been helping our customers customize trucks, vans, cars and SUV’s with Hitches, Step Bars, Running Boards, Tonneau Covers, Bedliners and more. Our Experienced Staff will assist you in choosing the right accessories for your vehicle and our Seasoned Technicians will professionally install them. Stop in or Call us today!